This tour is designed to make you feel the true silent atmosphere of the desert and explore mysterious sand dunes. You will be introduced to a virgin part of the desert, which precise location remains secret. Walking barefoot on the sand, you will realize what a precious experience you’ve missed until then. You’ll feel instantly relaxed, sensing the sand running under your feet, and will lose your thoughts in wonders, looking at the different shapes at the horizon. In this central region of desert, you can also observe another miracle of nature. 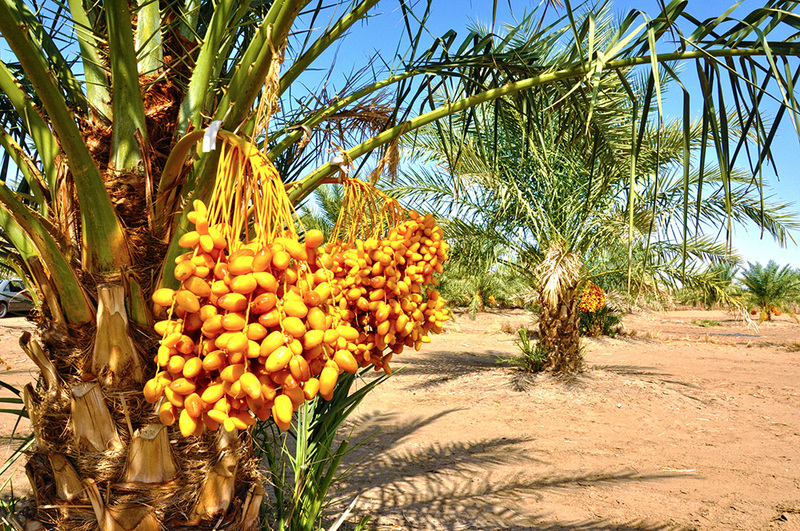 There, in this arid and dry place, an organic farm grows vegetables and dates without any watering system. How do the plants survive? The answer lies down 50 centimeters under the sand, and you’re going to discover it with your own hands, digging the sand… to find fresh water! It's in the guesthouse of this farm that you will stay overnight. A place people refer to “billion stars hotel”: when the night comes, the sky is filled with billions of shining stars in absolute dark sky and you can easily observe the mesmerizing Milky Way with bare eyes. On your way to the desert, you will visit the ancient underground city of Nushabad. This old city consists of a series of underground canals built under the main city, 15000 meters deep. You will go exploring this maze locals used to protect themselves in the past. This Mirage to Miracle expedition aims to make you feel the real atmosphere and magic of the desert within two days. About three hours’ drive from Tehran, you will stay in a pristine and unspoiled area in privacy of the desert between Kashan and Maranjab. Old Caravanserais, salt lake and flawless sand dunes, have made Maranjab an attractive destination. Off the beaten tracks, you are going to experience the real silence and enchantment of the desert, and its eternal charm will captivate your forever. On the first day, you will have breakfast on the road before entering Kashan city. Five kilometers away visit the ancient underground city of Nushabad, Also known as "Oei", this old city is a network of underground canals beneath the main city. In the past, inhabitants used it for security and religious reasons. An inhabitant digging his house has discovered the underground city only 15 years ago and it’s now a virgin playground for archeologists. This endless maze will show you the ingenuity of locals: deep under the ground, they arranged those canals to be livable, so they can hide in case of danger, and even defend themselves with some traps… the underground wonderland definitely hires your imagination, take it or leave it! After visiting “Oei”, we will continue to the small city of Abu ZeidAbad. This city is located near vast sand dunes, called "Band-e-Rig" by the locals. In Abu Zeid Abad, you will have the chance to visit an old Caravanserai (if the opening time allows it) which used to be a relaxing and remarkable stop for merchants on the Silk Road. Then we'll enter a dusty road which meets sand dunes frequently. Whether you're a capable adventurer or not, you will never forget this thrilling drive, feeling like you're fighting a battle over the conquest of the sandy roads in the desert. Under the hot and pitiless sun, you might see some mirages, how does a mirage works? Lets reach your final destination in this desert experience; There, in the middle of nowhere, and kilometers away from any civilization you will feel seeing a mirage alike the little prince in Sahara but the more you progress the mirage convert to real. Finally you’ll stay overnight at the guesthouse of a palm trees farm. Take some rest and enjoy the view over the palm trees garden, in this oasis-like atmosphere. Meals will be cooked with meat and organic vegetables picked up on the farm. Then, you will have the luxury of enjoying your lunch right in the heart of desert. Of course, Persian food cannot be conceived without Persian tea, so like Iranians, we will enjoy drinking this hot beverage after the meal, in the silence of the desert. After drinking tea, it will be trekking time! As the air becomes cooler, we will start our hike. We will climb on top of the sand dunes and you’ll figure out how easy task it is NOT! Indeed, after each step forward, the sand pushes you back, as if it was playing with you. But the efforts are worth it: on top of the dunes, you will see an incredible landscape of endless sand dunes and desert you could never think of it. And at sunset, the lights of the day will fade away on the red horizon, creating the most amazing sightseeing. Photographers may call this combination as Heaven. Back to the farm, you’ll benefit some rest in an idyllic setting. In this quiet atmosphere, you’ll observe the organic dates and vegetables planted here and pierce the secret of the living of these plants in such a dry climate: digging the soil only with your hands, you’ll reach after 50 centimeters, the origin of their survival… and be amazed by the greatness and cleverness of Mother Nature. For dinner, you will gather around the fire to listen to the farm owner’s stories about local culture, traditions, livestock life, local activities, local songs and stories... Then, when the darkness will have totally invaded the sky, you will look up to discover billions of stars over your head. In this clean atmosphere, away from any light pollutions, you can observe a true virgin sky and admire the majestic Milky Way. Prepare your wishes, because you’ll probably even catch sight of some shooting stars… As your eyes are slowly closing, it will be time to go to your bed. But not just any bed: you will sleep on a comfortable mattress settled on the ground, just as locals have always done in desert nature. Eager for more adventure? On the second day, you will wake up early, to go into the desert before the first lights of the day. 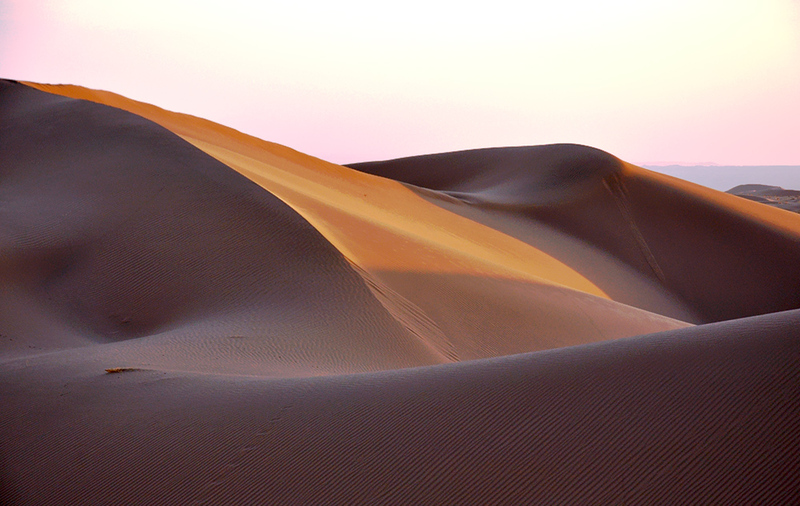 With a warm cup of tea, you will observe one on the most stunning event: a sunrise over the sand dunes. You will see the dark sky turning red, as if inflaming the dunes to give them a new life; shadows dancing over the sand, while slowly feeling the warmth on your skin. Back to the farm, you will be served a fresh and local breakfast and rest for a few hours. You can also have one last trek in the desert, or do camel riding as well as ATV riding in the sand dunes, if the season and the facilities of the farm allow it. Take a deep breath, listen to the deep silence one last time and fill yourself up with this incredible experience in nature, because it’s now time to leave the desert. The departure from the farm will take place around 11 a.m., to join Kashan for lunch and head toward Tehran or your next destination. Departure at 6:00 a.m. followed by two hours’ drive in a private car or minibus to Kashan. Contributors may join at a point which needs to be fixed with leader. On our way to the desert, we will visit the Underground City of Nushabad, then heading back to the desert. We will reach at noon our final destination, the local house and farm, where we will spend the night. 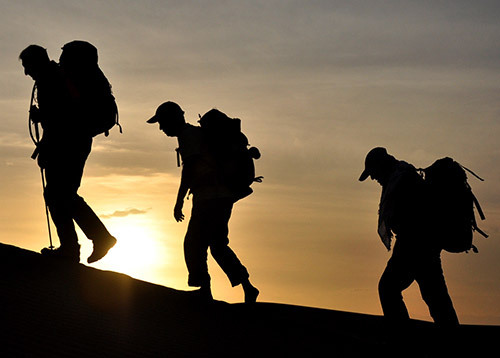 At the end of the afternoon, we will be trekking on the sand dunes and admire the sunset on top of it. Back at the farm, we will enjoy dinner before listening to the farmer stories around fire and watching the sky singing through constellations. Waking up before sunrise to watch the dead of dark when the silver Moon salutes to golden Sun. Back at the farm, having breakfast and rest for two hours, to relax and enjoy the sand view. Then you’ll be driven to Kashan for lunch, from where you can go back to Tehran or your next destination. No part of this content including texts, photos, and itinerary may be republished or distributed in any form or by any means without the prior writtern permission and referring to TasteIran. In TasteIran, we are trying to help visitors from all over the world to find the best and most unique experiences in Iran. We stands for finding and selecting local providers, and empower them by telling the stories behind their life and activities, and promoting what their short tours around Iran. This way, we make a priority of keeping an eye on sustainable lifestyles and eco-tourism, using modern technology. We believe that by providing visitors with authentic experiences from local people, they can both taste real lives and traditions, and in the same time, have a positive impact on nature and society during their journey through sustainable tourism. Copyright © 2019 TasteIran - All Rights Reserved. No part of the contents may be republished or distributed in any form or by any means without the prior writtern permission and referring to Taste Iran.